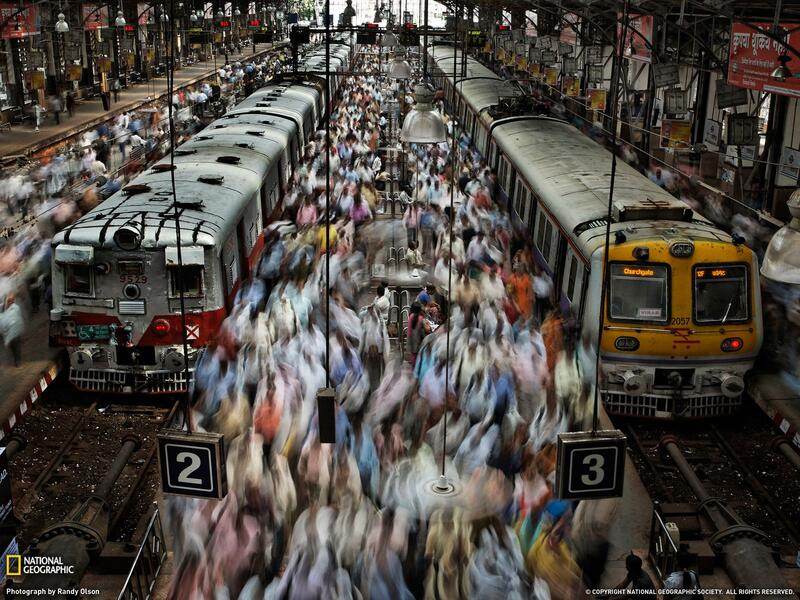 Photograph by Randy Olson, “Crowds at Churchgate Station”, National Geographic. Julia lives in the southern periphery of Bogotá, in an informal settlement on top of a hill: her neighbourhood has no public transport and every day she walks long hours to bring her three children to school, buy groceries, and visit her mother in a nearby area. Francesco is a teenager in Montemale, in a Piedmont alpine valley: his town is part of the peripheral Italy, from which the nearest high school, hospital and railway station are more than 60 minutes far and can be reached only by car. What do Julia and Francesco have in common? Their possibilities to move are reduced. And such constrained mobility reduces the opportunities available to them, be it at the margin of a rich metropolitan area or in the periphery of a developing megalopolis. Cities would not exist without the interactions allowed (also) by mobility. After all, “interaction, not place, is the essence of city and city life”, as the urban scholar Melvin Webber stated already back in the Sixties. Especially in urban areas, contemporary societies are increasingly interconnected, thanks to traditional and new technologies: these make possible to move, virtually and in space, at unprecedented distances, making our lives increasingly mobile. Our lives incorporate the need to be mobile: we need to move in order to interact with the context in which we live. This is true for both compulsory activities like work and for voluntary ones like hanging out with friends. Mobility is thus increasingly relevant for granting anyone the possibility to access those places and activities necessary to satisfy one’s needs and wants, and to participate in social life. And mobility is crucial for the development of the individuals and of the society in which we live: the development of a person corresponds with the possibility she has to flourish according to what is important for her, as philosophers like Sen and Nussbaum state, so that individual freedom becomes a social commitment. For a world population that is, year by year, increasingly urban, the possibility to move becomes key for individual and collective development. However, mobility is not equally available to each person. It is inherently different, and often unequal. Individuals wants to reach manifold opportunities, that are distributed in the urban space often following unequal patterns. Infrastructures and mobility services are differently available to groups who may live far or be unable to use them. Each person has differentiated economic, physical and cognitive abilities, which may enhance or impede movement. And features like gender, age and ethnicity determine different experiences of mobility, with different levels of ease and safety. Therefore, the characteristics of a person and of the place where one lives generate different mobility opportunities and experiences, making mobility both a cause and an effect of inequality. Mobility becomes thus a priority for cities to become places of opportunities: places where any person can access valued places and activities, but also have pleasant experiences on the move. Places where mobility contributes to a better quality of life, making the city itself more attractive for prospective inhabitants, workers, students, visitors and investors. Places that are more democratic too, enhancing the possibilities that inhabitants have to participate in social life and to experience the urban space on a more equal basis. International bodies such as the United Nations are increasingly considering all these features when putting forward their strategies for the cities of the future, as the New Urban Agenda demonstrates. Cities all around the world are protagonists of ground-breaking experimentations in the field of mobility, too. Latin American metropolises are at the forefront of experiences that consider everyday mobility as a key factor for urban and human development. Medellin has broken the isolation of mountainous slums using cableways to connect them to the rest of the city: the infrastructure has been the catalyst of a wider urban transformation, which brought public libraries, parks and business incubators in areas previously dominated by criminal organisations. Bogotá has promoted a cheap infrastructure, a bus rapid transit system called TransMilenio, to provide huge areas of the city with a reliable public transport system that offers the same advantages of a subway line but for a much lower expense: the intervention, intended to benefit middle and lower classes, immediately became a reference for other megalopolis in South America, Asia and Africa. Santiago de Chile is one of the many cities where technological innovations are central for the everyday mobility, not only for operating automated subways and giving real-time information about public transport, but also for allowing new, app-based mobility services like Uber, Beat and Cabify that grant connections when public transport is not available. And when these opportunities are not available to everyone, as in Rio de Janeiro, citizen movements arise, protesting for a better mobility and asking, for example, for free fares in mass transit. These mobility experiences from Latin America show light and shadow but demonstrate that the social implications of mobility are gaining space in the public debate around cities and their development. The topic must become a policy priority, thinking infrastructures and services in the light of the purposes for which inhabitants may want to move. Simple technical tools, such as accessibility evaluations, are required to assess what areas and groups can move and reach enough opportunities, defining priority interventions for those areas that remain at the margins of urban life. Public institutions are crucial for assessing mobility needs and plan interventions, but other actors too can play a central role: not only private enterprises introducing new technology-based solutions, but also local communities, which can co-produce transport services and infrastructures according to place-specific needs. In conclusion, many different subjects can contribute to rethink the way we understand and face mobility issues. Mobility involves much more than the simple movement from one point to another: it is the tool through which we build our everyday world. Therefore, for grating the development of each person and each place, the future of our cities and of their inhabitants must be a mobile one. Giovanni Vecchio is a urban planner and policy designer. 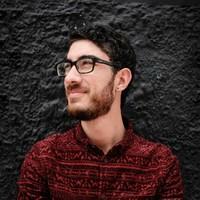 Currently, he works as a postdoctoral Researcher at Pontificia Universidad Católica de Chile.